 Here at Canis & Co, we care about our customers and want you all to be tail-waggingly happy with your Canis order. We do understand that from time to time, you may have a reason for returning a product to us. Please contact us within 7 days of receipt, if you’re not 100% satisfied with your order. 2. A member of the Canis Crew will get back to you and inform you of the Returns address. 3. You can then return the parcel to us on a signed for service, within 14 days of acknowledgement. Canis & Co cannot be responsible for the postage costs of a return. Once we receive the goods, the Canis Crew will process a refund using the method in which you paid for your original purchase. We will process the refund for the price of your goods no later than 14 days after receiving them.